A light, delicate and refreshing tea made from the buds and young leaves of the tea bush superbly combined with the crisp zesty taste of orange. 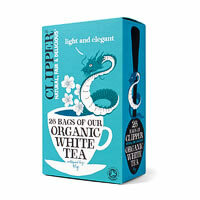 White tea has a very refined, subtle but deliciously rounded flavour. 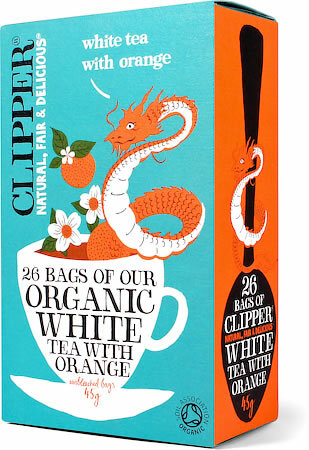 It is traditionally from China, as symbolised by the lovely dragon on the packs. 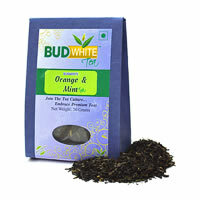 Young leaf buds are gently oxidised to create a clean and healthy cup that's a powerful source of natural antioxidants. 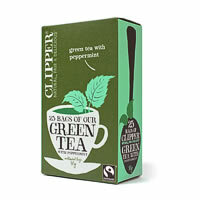 In it's pursuit to stay natural, Clipper uses only unbleached tea bags. Bleaching of tea bags are typically done with a mixture of chemicals to make them white, thus more appealing to customers. Whereas unbleached bags don't undergo this unnecessary process. 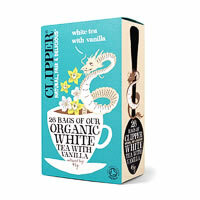 So if you're sipping a cup of tea made from an unbleached bag, you know that you're not only drinking something that tastes good, but something that's just a little bit less interfered with! So Natural, even teabags are not bleached white with chemicals!